What is actually on your plate? It can be cathartic (or overwhelming) to list it all out, but there is a peace that comes with organizing and categorizing the chaos. Have you been explicit in setting priorities? Some things have to get done before others. Some things are important to you, others might be important to your boss or your co-workers. What are the things that aren’t getting done? Is that purposeful? Are those the best things not to get done? I am not a good judge of how long a task will take me. I find that some things take much longer than I’d imagined — when you add up all the tasks required to dismiss a student from speech services, it’s more than you’d think! Other tasks don’t take as long as I think they will — that phone call I’d been putting off? It only took a minute. Take a week and make some notes about how you are actually spending your time, what things happen and what things don’t. Find a colleague to take a look. Sometimes a second set of familiar eyes can see things you don’t. Let others know. If there are things that are not getting done, make sure your supervisors or colleagues are aware. Let your supervisors know how you’ve prioritized things and show them what is and is not being completed. It could be that their priorities are different than yours. The important thing is to find out what should be on the top of the list if you have to make choices about what gets done and what doesn’t. No job should keep you from maintaining your health, a sleep schedule, and a life separate from work. As school-based SLPs we have the opportunity to touch lots of kids and teachers and families over our career, but burning out after a year or two serves far fewer. Gina has more tips on SLP self-care here. As it turns out, this process is harder to implement than it sounds. This is proven by the number of times we find ourselves blogging about it (here, here, here! 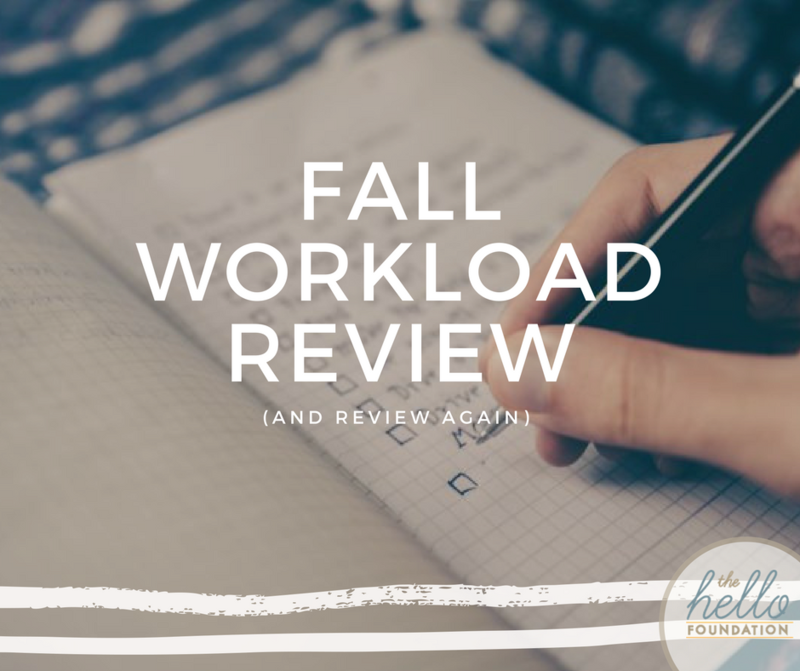 ), and the fact that even as I write this, there are adjustments I can make to managing my own workload. Keep at it! I find I learn and improve each go-around. And with the experience I gain, I can be more helpful to others.